In actuality, it was well worth my while and I’m sure I’ll attend again next year. For starters, at least 50% of the booths were Israel-related. There were tour operators, regional tourism offices, hotels and guesthouses, Israeli tourism web portals and specialty tourist sites. I gathered lots of brochures and publicity materials, and also got to speak with people representing various locations. And I definitely learned about some new places that I didn’t know about. My bag grew exponentially heavier as the day wore on, and when I got home I organized all the material I picked up by region of the country, to make it more useful for me in the future. I also have to send a few follow-up emails to see about checking some of these places out in person. 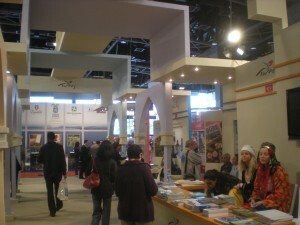 The large booth for Turkey tourism at IMTM. There were certainly a large number of booths for foreign countries, and although that was certainly not my main focus professionally, I enjoyed them for my personal information. With all of the recent talk about the breakdown in Turkey-Israel relations, it was interesting to see that Turkey still had a very large booth. At the same time, it was relatively empty, though I’m not sure if that’s because I was there on the second day of the conference, because so many people in Israel already know about Turkey as a destination, or because of the tense situation between these two countries. 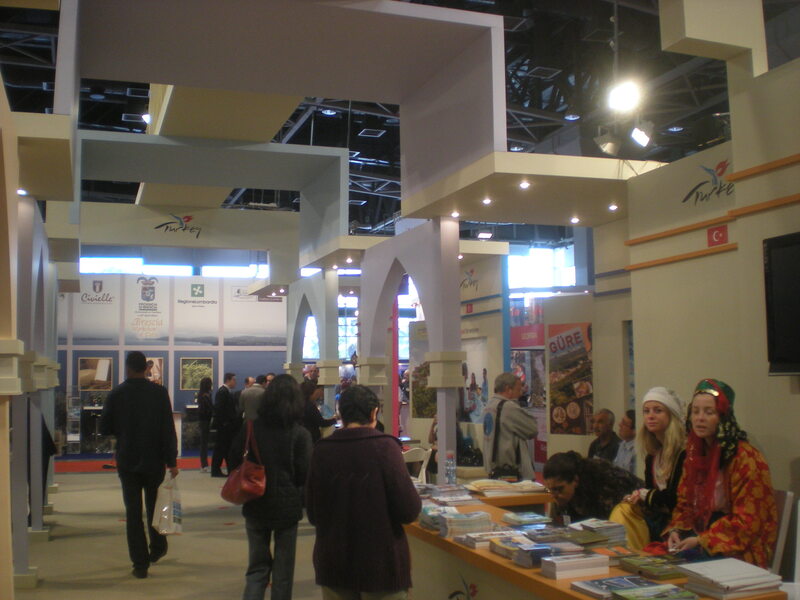 A few foreign locations (noticeably Portugal and the city of Brussels) made an effort market to Israelis in particular. Portugal focused on some of the Jewish history there (though there is very little Jewish life there today). And Brussels’ normal travel brochure was written in Hebrew for the conference. Other countries in attendance included Cypress, Georgia, Morocco, South Africa, Tanzania, Thailand, India and Japan. 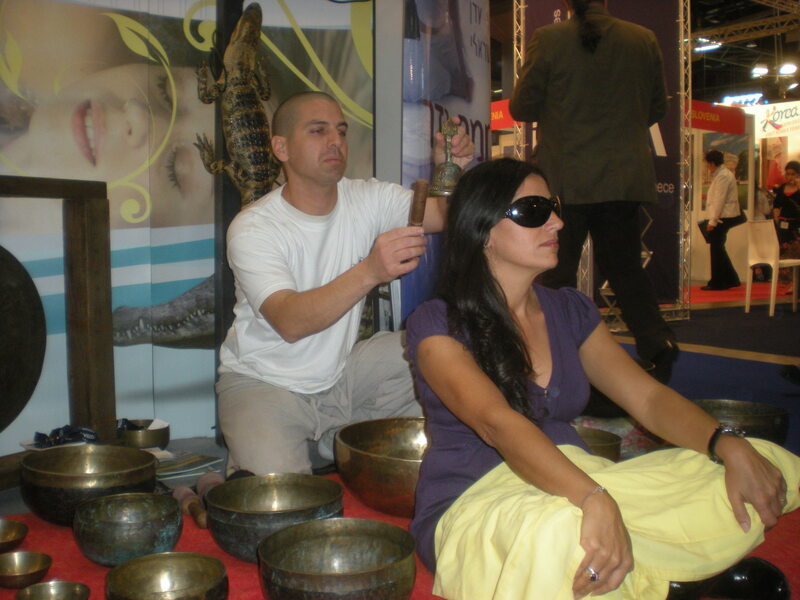 I had mentioned in my last post that there was also the bi-annual Israwinexpo at the Tel Aviv Fairgrounds that day, and that I was considering going to both. 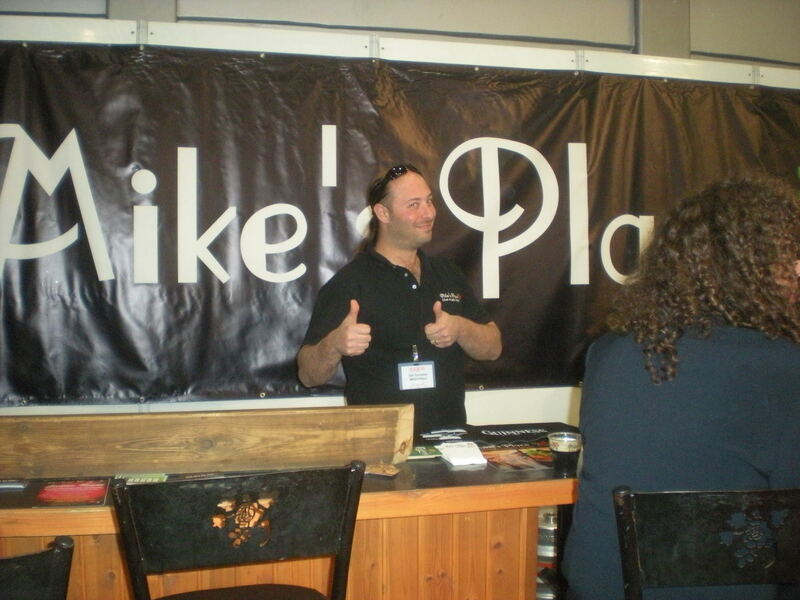 Well, I was pleasantly surprised to see how many booths had free wine, beer and even Scotch (from The Scots Hotel, St. Andrew’s Galilee, in Tiberias) at the IMTM itself. So I figured there was no real need for me to head over to Israwinexpo after (though I’m sure the selection there was better, this was free and that would have cost me!). 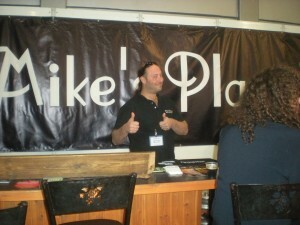 Mike's Place representing, maintaining their position as THE bar for expats and tourists in Tel Aviv. And speaking of which, I may have mentioned before that one of the areas I’d like to focus my attention as a tour guide (in addition to all of the traditional types of tours) is culinary tourism. It is no secret that Israel has grown into a world-class wine producing country. We also have some top-notch restaurants, a very international cuisine, and certain dishes that are staples of our diet. Additionally, certain foods have deep roots in our culture. Date culture has deep roots in this country and exciting stories about the return of date cultivation to this country during the 20th century. Olive and olive oil production has been found here for thousands of years. So with all of that, I was happy to also find a number of booths that related in some way or other to the culinary world here. The industrial park at Katzrin in which you can find the Golan Heights Winery also features a large olive oil factory and a microbrewery (both with visitors centers and restaurants). There was also a kibbutz that focuses on organic food culture and an area in the Golan with a cherry farm, winery and the like. A relaxing bell and talking bowl treatment at a spa booth at IMTM. 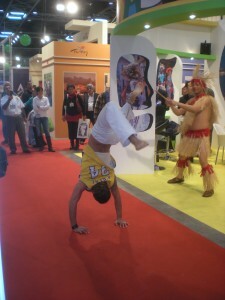 One of the things that will probably prove most useful to me in upcoming years is a “job fair” for Israeli tourguides. A number of the tour operators are there for tour guides to meet with and hopefully establish working relationships. I didn’t go this year, since I am not yet licensed, and so there wouldn’t be much for me to do there yet. But I’ll probably go next year, since I will hopefully get licensed before the following IMTM. I also did not attend the annual Tourism Conference that was held on Wednesday morning. It was already booked solid when I tried to register, so I’ll have to try to get on that earlier next year, if I want to attend. Anyway, overall I’d say this was well worth attending for anyone in the industry, or hoping to get into it. I’ll be there next year, and I hope some of you will too. Seeing friends I knew and making some new acquaintances/contacts was also a nice part of this IMTM! If any of you were there, but I didn’t meet up with you, leave a note down below. We can try to catch up separately!